Sports Labs is the only sports surfaces testing company to have a dedicated research and development team. Our team are pushing the boundaries of our industry and helping us to set new standards. The aim of our team is to lead innovation and development of sports surfaces to meet the demands of modern stadiums and professional athletes. We have long standing arrangements with leading third level Academic Institutions and Universities. Our rich relationships enable us to connect academia with the sports surfaces industry in a novel way. We run research programmes for clients, global governing bodies and to make efficiencies introduce new technology into our testing protocols. Sports Labs is working with FIFA to realistically replicate sports surface interaction. Applying our new testing procedure, involving modified artificial wear apparatus, the new generation of Lisport XL is nearing completion. Through our rapid in-house development cycles and technical expertise, we have provided many of the innovations now incorporated into the new Lisport XL equipment. As part of our role in the community of sports surface laboratories, we are also working on future enhancements to Lisport XL's function. In particular, we are leading the investigation into high-friction materials to further increase the simulated real life wear. We will soon release the final version. As artificial turf increasingly earns its place in stadium level football and rugby, one of the most discussed barriers to its widespread acceptance is the phenomenon of “infill splash. Infill splash occurs when there is significant contact between, a ball or player, and the playing surface. During these interactions, a small amount of the infill material is dislodged and thrown into the surrounding area. Having studied to understand what causes the phenomenon, we are well underway in creating a test method to analyse infill splash and allow its comparison on different sports surfaces. Now in the final stages of development, the method is conducted by projecting a FIFA-approved football onto a surface at 50kph. Using high-speed photography, we can measure the interaction between the ball and the surface and the levels of infill splash. 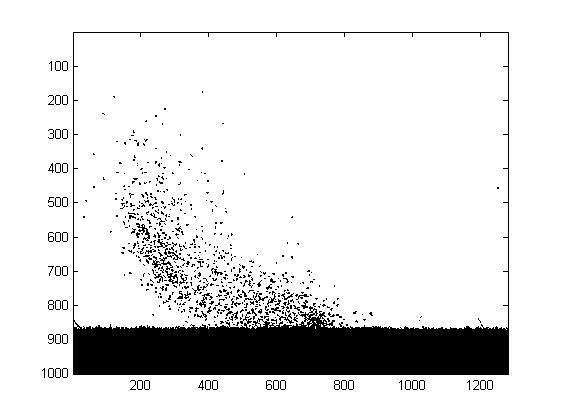 A factor to describe the highest density splash recorded over the course of the interaction. If the final test phase proves successful, the test may be used during this years' Women’s World Cup in Canada; with a view to inclusion in standard testing procedures from then on. surface has become an important performance factor. The method developed adopts cutting-edge infrared camera technology to monitor the surface temperature a sample whilst being exposed to artificial light. The method allows for accurate categorisation of a samples surface thermopysical characteristics. As well as forming part of our research and development equipment, we also engage in commercial 3D printing work. We have the ability to print large size models with a build envelop of 210mm x 210mm x 500mm using either PLA or ABS filaments. To enquire contact our R & D team with your model file or send us an email at info@sportslabs.co.uk.